We offer a free drop-in service for all job seekers every Monday between 10am and 1pm. No appointment necessary (Closed Bank Holidays). The Salvation Army has been actively involved in employment and employability services since we opened the first Labour Exchange in 1890, some 20 years before the UK government. 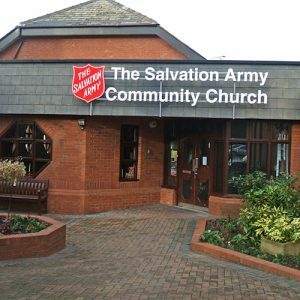 Still a major provider of employment services, The Salvation Army is currently rolling out the opening of Employment Plus Local centres; a local employment resources service for the local community. The opening of Employment Plus Local in Cheltenham launched back in April of 2013. What is Employment Plus Local? A point of reference and an address for homeless jobseekers. Advice and guidance sessions to service users in partnership with Jobcentre Plus Advisors and other local employment /training providers. Use of resources such as; computer, internet, and telephone. One to one support or group support. A friendly, warm, relaxed atmosphere. A ‘no strings attached’ listening ear. Basic computer and internet use for those who require it.